These are unique ancients reliefs date back from the 8th to 9th century. Each relief tell you story. 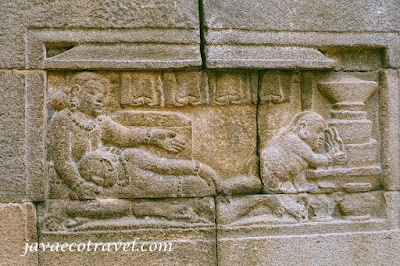 It is called the "Jataka Tales". The story tale is special because it teaches the people to do wise things, and to differentiate the good and the bad. This didactic folklore is a very clever method from Buddhism to deliver the goodness. 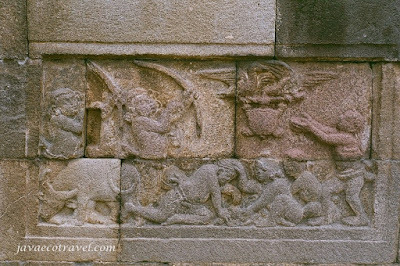 The Jataka Tales reliefs can be found on the wall of Buddhist temples in Central Java. 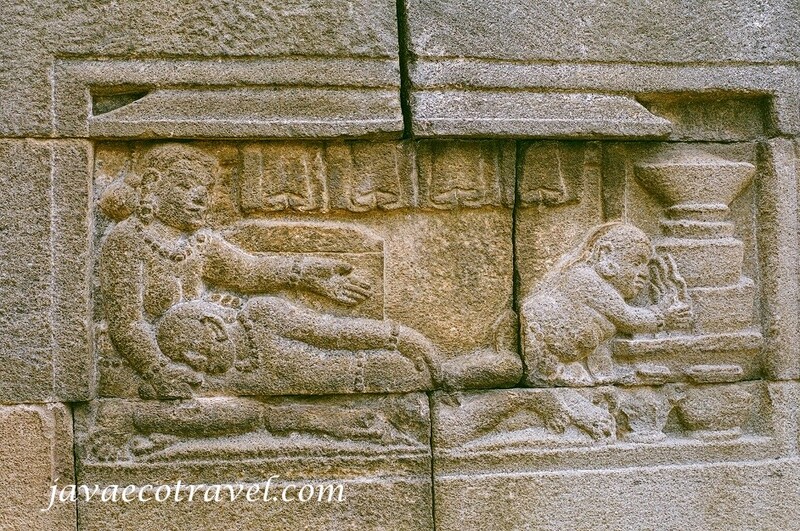 One of the most well-known Buddhist temple which has hundred of Jataka reliefs is Borobudur Temple in Central Java. 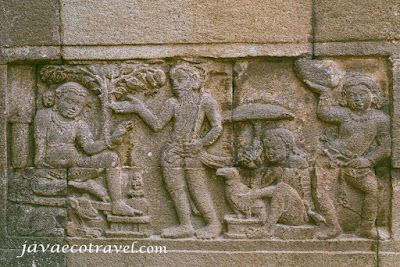 Jataka Tales can be in the form of Human Stories and Animal Stories. It is also belief that the story is about the life Buddha before the last reincarnation as Prince Siddhartha. There are different interpretations of reading the story from the relief panel, and also many different ways to deliver the story. But, the massage of the tale is normally accepted as the same. 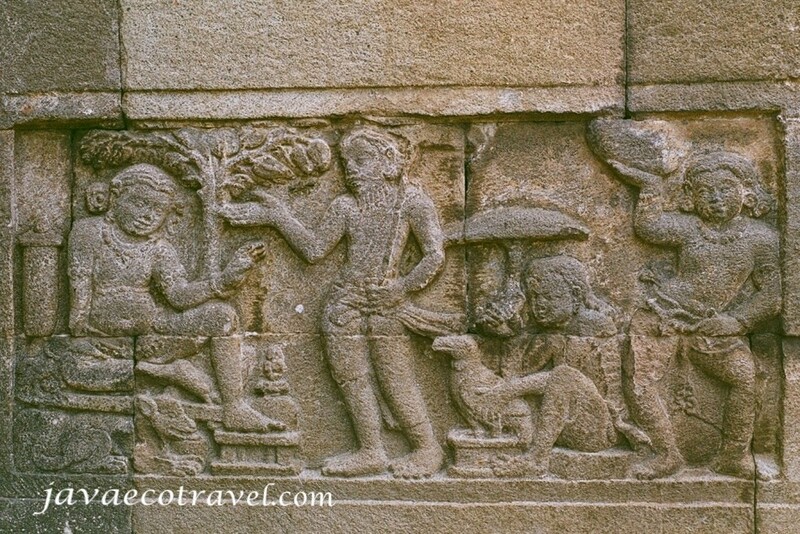 As the central of Buddhism and Hinduism on the 7th to 10th century, Central Java is rich of ancient temples and artifacts. For almost 1000 years, these masterpiece were hidden physically by nature and ideologically by the arrival of new culture and religions. We would like to take you exploring the masterpiece of the past. 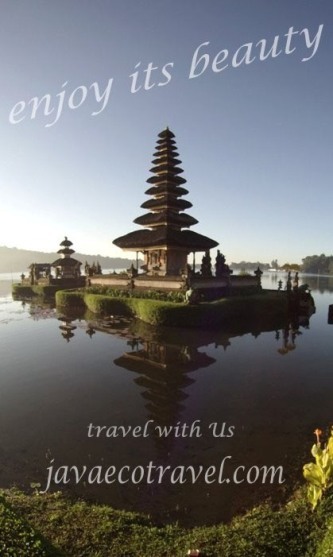 Please don't be hesitate to contact us for information and Central Java tour packages.